The main purpose of AmplifX is to seek in a collection of primers, such as any molecular biologist get in his refrigerators, those which can be use to amplify a fragment into a target sequence, for example, and particularly, to design strategies to screen recombinant clones by PCR. Some informations are associated with each primer, some automatically computed by AmplifX (like TM, Quality, length) and other given by the user (name, comments,...) This allows general aspects of primer management (sequences and real tubes). AmplifX can also design new primers. 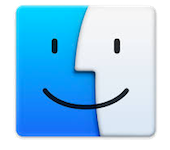 [Updated Nov, 25 2013] These versions allows owners of old Mac to continue to work with AmplifX : version 1.6.3 doesn’t force the user to instal the new 1.7.0 release. The menu "paste complement strand" now works into the field "use this primer" in the primer design window. Behavior improvement of the menu "Undo"
And a lot of bug fixes and algorithm corrections! This program is provided free for the scientific community ”as this”. The author couldn't be responsible for any bad working. Users are strongly invited to register themselves with the online form accessible by the help menu. This will assure you to be kept informed for new updates and important informations about this program as soon as they are available. Users are strongly invited to register themselves by using the menu "feedback" in the "Help" section: give the program name, version number, preferred language, Operating system version, any other useful information and why not a kind word. "AmplifX X.X.X [version number] by Nicolas Jullien ; CNRS, Aix-Marseille Université - https://inp.univ-amu.fr/en/amplifx-manage-test-and-design-your-primers-for-pcr"
The main window of AmplifX is organized in two parts: the upper part contains the textual zone, it is organized itself in three panels: "Target", "Primer List" and "Infos". The panel "target" is the zone in which the target sequence is loaded. one can paste the sequence on which one wants to seek the matching primers. When pasting, AmplifX eliminate all the characters different from : "A, T/U, C, G,". One can thus directly copy from a source containing, for example, spaces, numbers, ... On the other hand AmplifX does not hold account of degenerate nucleotides (IUPAC: N, S, W...). The panel "Primer List" contains the list of primers and is associated to the " Primers" menu. To import a primer list, use the menu of the same name. It makes it possible to import a file in text format. This one must be formatted as follows: one line by primer with: the primer sequence, its name or ID, its descriptive name or category (There can be others elements which follow but those will not be taken into account). Each item is separated from the others by a tabulation. This type of file is easily created with Excel or FileMaker, for example. One can also directly enter the primers in AmplifX by creating a blank line with the menu “Add a new primer”. The list can be sorted by clicking in the headings. It is advised to use data sortable in an alphanumeric way in the column “ID”. For example if you wish to use serial numbers, think of formatting these numbers with a constant number of digits : Pr0001, Pr0002... (the columns Quality and length,calculated by the program are sortable by numerical value) the "descriptive name" column can also be employed to create sub-sections while placing special strings at the beginning of the field, for example one can want to make a category "SYNT" for the primers containing synthetic parts. this will make it possible to quickly find them by simple sorting on this column. The primer list can be saved in a specific format (AmplifX primer list) which is a text file structured in a specific way (it can be opened by any text editor but don't modify it manually). A button in top on the left makes it possible to define a file previously saved as a default file, i.e. automaticaly loaded at AmplifX start up. The panel infos is self explanory and gives the informations for each clicked graphical element (See below). Its content can be recovered by classic “copy” command. The graphic part contains the target sequence drawn as a simple line in two colors relative to positions of upper and lower cases nucleotide characters. At the top and below of this line hybridizing primers appear as two oriented symbols according to the direction of the hybridized strand. These symbols are drawn filled or empty property regarding to the strength of the match. (The match cut-off scores can be changed by the preference menu). In the lower part appear the amplified sequences. Their overflight indicates the size of the fragment and the click informs the panel "infos". The click allows also to select directly the portion of the amplified sequence and automaticaly paste the real amplified fragment (i.e. with the primer sequences at the boundaries) into the clipboard (useful to copy-paste in another application). To change the graphic drawing scale one can use the small buttons "+ ", “-“" and “0” which allow plus zoom, minus zoom or to restore the initial scale. A more practical way to restrict the view to a region of interest is to drag the mouse while pressing the Shift key. An horizontal scroll bar allow the moving of the viewable portion. It allows the specification of a Primer List file to be open by default. A function "Search" in the "Edition" menu makes it possible to quickly locate and select primers whose name or comment fields contain a given string. The found primers can thus quickly checked for use into the virtual PCR manually or automatically by the menu "Check found primers”. The search can be done into the target sequence also by clicking the appropriate radio buttion. It is useful for the primer design by direct selection in the "Target"field. In which the calculation of quality is carried out “live” as selection change. One can then copy the current selection and paste it either directly or by this menu in a new line of the primer list. Although its first finality is to test already existing primers quickly, AmplifX incorporates since version 1.1 a function of primer design. This function is accessible by the menu "Primers" - > "Design primers". A new window opens which makes it possible to fix some specific parameters to this function, such as the length of the primers wished, the difference of TM between the two ones and the minimum score of quality being used as threshold. This calculation of quality is also dependent on certain parameters which can be changed by the menu " Preferences", such as for example, TM or GC composition. One can choose to search for only one primer by filling one of the two “Use this primer” fields. Once the search is finished, one can send the primers selected by double-clicking onto the list and clicking on the button "Add to primer list"
Tip : Do not specify a large searching zone for each primer (restricting to 100-200 bp is reasonable), and start by fixing the quality score threshold to a high value ( arround 90). If no primer pairs were found, decrease the constraints then. Here are some 126 bibliographic references for works in which AmplifX was useful and cited. Núñez-Díaz, J. A., Fumanal, M., Viguera, E., Moriñigo, M. A., and Balebona, M. C. (2017) Fish Shellfish Immunol. 64, 446–456 [online] http://www.sciencedirect.com/science/article/pii/S1050464817301729 . Plönes, T., Fischer, M., Höhne, K., Sato, H., Müller-Quernheim, J., and Zissel, G. (2017) Pathol. & Oncol. Res., 1–8 [online] http://dx.doi.org/10.1007/s12253-016-0181-3. Alawad, A., Alharbi, S., Alhazzaa, O., Alagrafi, F., Alkhrayef, M., Alhamdan, Z., Alenazi, A., Al-Johi, H., Alanazi, I. O., and Hammad, M. (2016) Bioinform. Biol. Insights 10, 111–20 [online] http://www.ncbi.nlm.nih.gov/pubmed/27486314 (Accessed August 23, 2016). Zauli, D. A. G., Menezes, C. L. P. de, Oliveira, C. L. de, Mateo, E. C. C., and Ferreira, A. C. de S. (2016) Brazilian J. Microbiol. Barrera, M.-J., Aguilera, S., Castro, I., Cortés, J., Bahamondes, V., Quest, A. F. G., Molina, C., González, S., Hermoso, M., Urzúa, U., Leyton, C., and González, M.-J. (2016) J. Autoimmun. Ploenes, T., Scholtes, B., Krohn, A., Burger, M., Passlick, B., Müller-Quernheim, J., & Zissel, G. (2013). CC-Chemokine Ligand 18 Induces Epithelial to Mesenchymal Transition in Lung Cancer A549 Cells and Elevates the Invasive Potential. PLOS ONE, 8(1), e53068.